At Sienna Smiles, we offer a variety of procedures that improve your smile and boost your self-confidence. If you are missing teeth, or have badly damaged teeth that are in need of extraction, Dr. Sakeena is happy to offer permanent teeth replacement solutions with dental implants in Missouri City, TX. Dental implants have proven to be a popular choice for replacing missing teeth, as they offer the most seamless treatment, with optimal restoration of oral function. Don’t wait to restore your smile! If you have existing teeth that are in need of extraction, they will first be removed, and the dental implant post will be added to the site of the lost or extracted tooth. The post is then given time to heal and naturally integrates with bone in your jaw. Your implant is therefore completely stable and is able to nurture healthy bone density, just like a natural tooth would. Once the area around the implant post has healed, a return visit to our office is scheduled and a custom-made crown is placed on top of the abutment; your natural tooth is completely replaced. 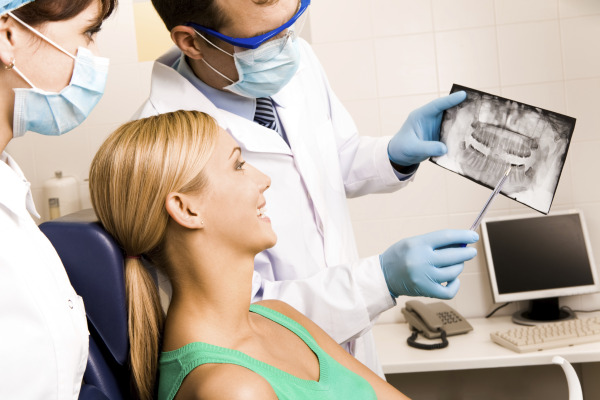 At our Missouri City cosmetic dental office, we use CEREC technology to aid in the dental implant treatment process. Your dental implant crown is milled in-house in as little as one hour; most patients have new teeth placed within 6-8 weeks of the time the damaged tooth is removed or the implant post is placed. Are There Alternative Treatments for Teeth Replacement? Are Dental Implants the Best Option? Patients with missing or damaged teeth can opt to simply leave the tooth as-is, or have a fixed bridge installed. However, leaving a lost tooth, or teeth, untreated can cause shifting of the existing teeth, as well as jaw bone volume depletion. While fixed bridges successfully fill gaps in your smile from a lost or extracted tooth, getting a bridge requires altering existing, healthy teeth to complete treatment. Dr. Sakeena typically recommends dental implants, as they protect your oral health, and do not interfere with the health of surrounding teeth. Every patient is different; we’ll help you choose the right treatment plan for your situation with a complete examination and assessment. We offer comprehensive restorative dentistry with a compassionate focus; we genuinely care about the smiles of every patient and want you to enjoy natural, beautiful results for years to come. Call us today to schedule an appointment for dental implant treatment in Missouri City.